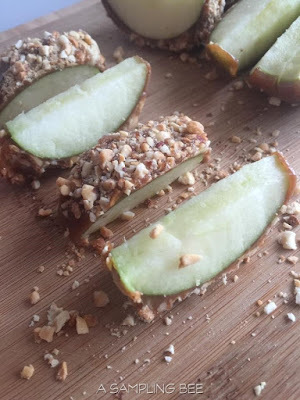 A Sampling Bee: Tastee Caramel Apples Review & Giveaway! Hi! Welcome to A Sampling Bee! 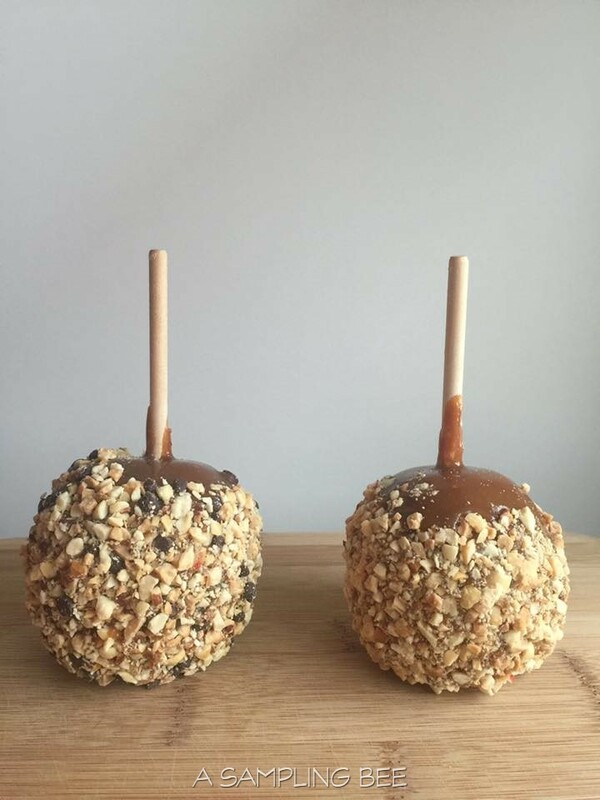 Today, I share with you yummy caramel apple from Tastee Apple! This company was started by a father and son and has been family owned since 1974.With both father and son willing to do whatever it took to produce the best-quality apple products possible at a fair price, Tastee Apple, Inc. was quickly recognized for old-fashioned goodness and family pride. Tastee is America's #1 Caramel Apple! I got to try 2 different Tastee Apples. The first one I tried was their caramel apple. This apple has a layer of caramel topped with chopped peanuts. The second apple I tried was the Turtle Caramel Apple. 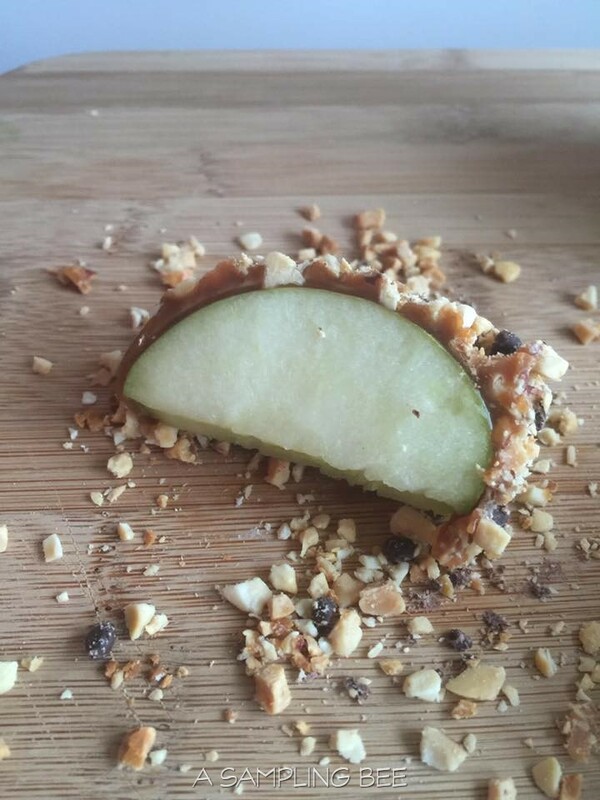 This apple has a layer of caramel, chopped peanuts and chocolate chips! I love apples smothered in caramel and nuts. These apples are really good! They satisfy that need for a sweet and salty treat. Tastee's Caramel Apples remind me of my childhood. Going to carnivals and fairs :) We know that those kind of activities are available to us all year. But, Tastee Apples to the rescue! I received Tastee Apples in exchange for my honest review. All opinions are my own. Always! 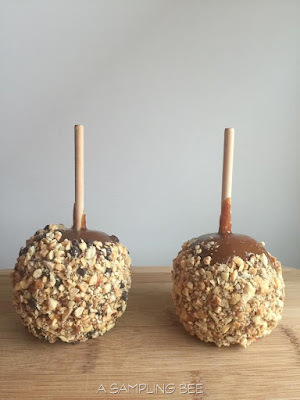 Enter to win six (6) caramel apples (any variety). One winner will be chosen and contacted via email. Winner has 48 hours to respond to my email. If I don't hear back, I will draw another winner. US only, please!